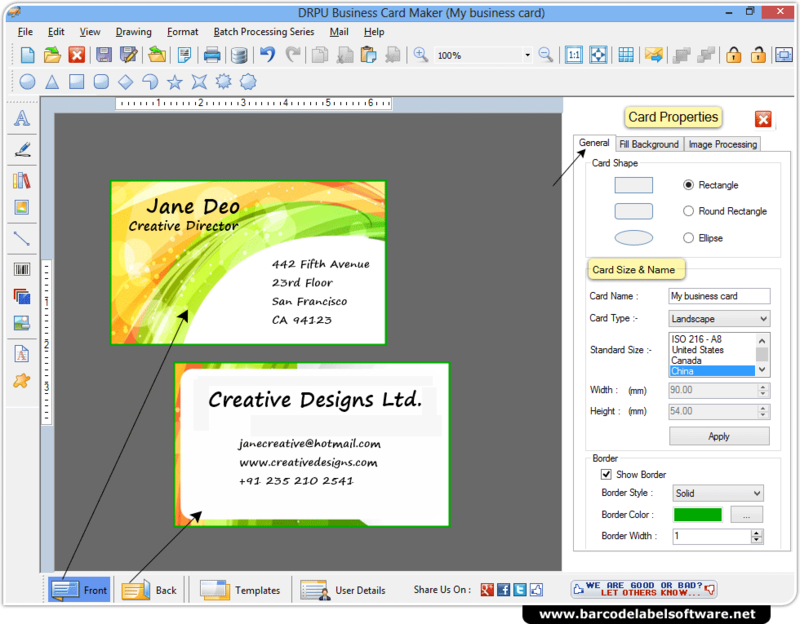 Business Card Maker Software is developed to design business cards, membership cards, visiting cards, etc with option to email as well as print designed cards. Software provides facility to add barcode, image, watermark, signature and symbols on business cards. Option to send your designed business cards at particular email address using inbuilt Email Settings. Software has Batch Processing Series feature to generate multiple business cards. Create business cards using various image designing tools including Line, Text, Barcode, Picture, Triangle and Star objects. Design business cards using wizard or with blank format. 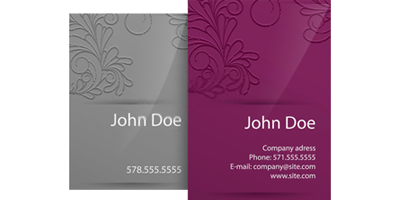 Provides option to add WordArt text-styling feature to the business card.